Last night, I harvested the kale I’m growing in the planter box I tried out this year. Since I didn’t have a lot of growing space this summer, I went with all sorts of containers, and I have to say it’s been rather fun to harvest jalapeños and tomatoes and radishes and herbs and now my second round of kale. I had nothing green to eat in the refrigerator last night so it was fun to remember that I had some outside and I added raw kale to my sandwich. In the middle of the summer, I am already thinking about the fall and winter and how best to savor summer’s flavors year round. One of the biggest challenges in creating a self-sufficient pantry is storing enough vitamins and nutrients for the long term. Sprouts are one of the most space-efficient and nutritious foods you can grow yourself when fresh, vitamin-rich fruits and vegetables are scarce. 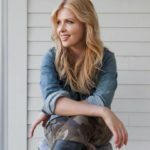 So today I’m going to share my instructions for how to make sprouts! 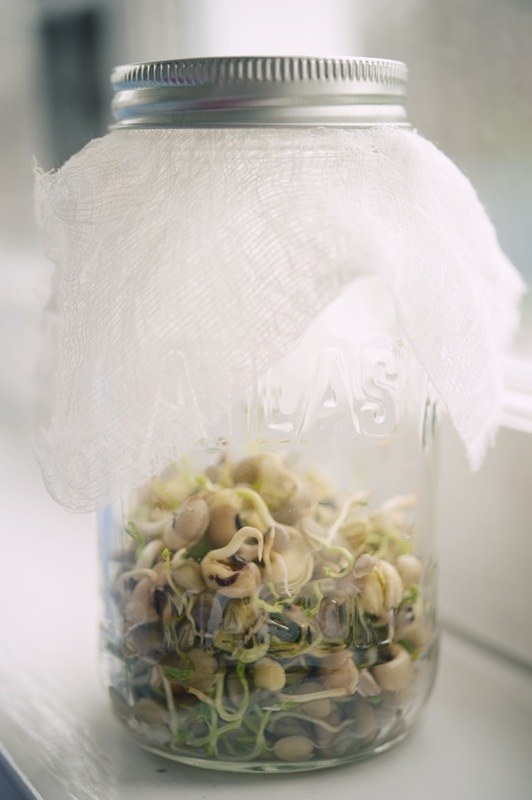 Good legumes for sprouting include: mung beans, lentils, various peas and beans, radish, alfalfa, clover, and soybeans. They are a particularly important component to add to a diet that is imbalanced because they contain vitamins B, A, K, and C, along with minerals, amino acids, and other essential nutrients. The act of sprouting these seeds, grains, and legumes makes them much more nutritious than if they were unsprouted. It also makes them easier to digest. Certain beans can be toxic when sprouted and should be avoided. They are: kidney beans, lima beans, black beans, horse beans, runner beans, and garbanzo beans. Flax seeds and sunflower seeds should also be avoided. Have you ever made sprouts before? Try this at home and share your pictures with me on social media @GeorgiaPellegrini using #ModernPioneering. Can’t wait to see what you grow! Remove any damaged seeds from the mix and discard them. Place the good seeds in the jar and fill it with room-temperature water. 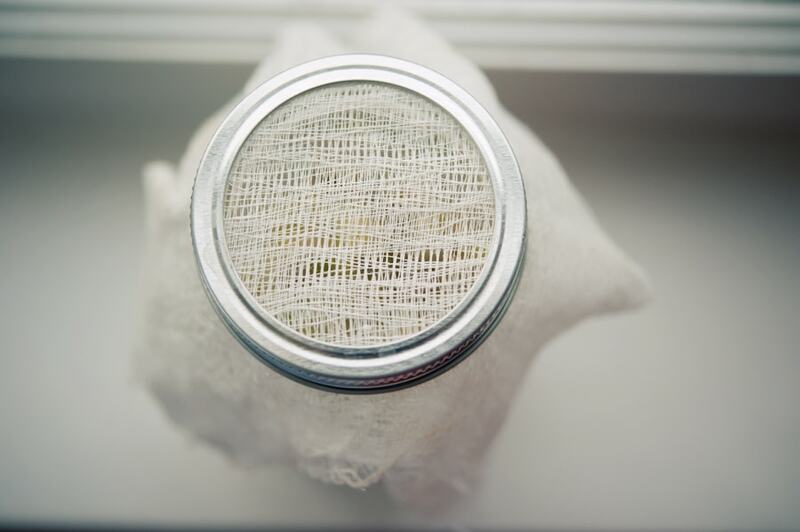 Cover the jar using the cheesecloth and rubber band, and soak the seeds for 6 to 8 hours. Drain the water out gently through the cheesecloth. The only water that should remain in the jar is the water that has adhered to the seeds. Set the jar aside overnight. Continue rinsing and draining the seeds gently once in the morning and once evening so that they stay moist. 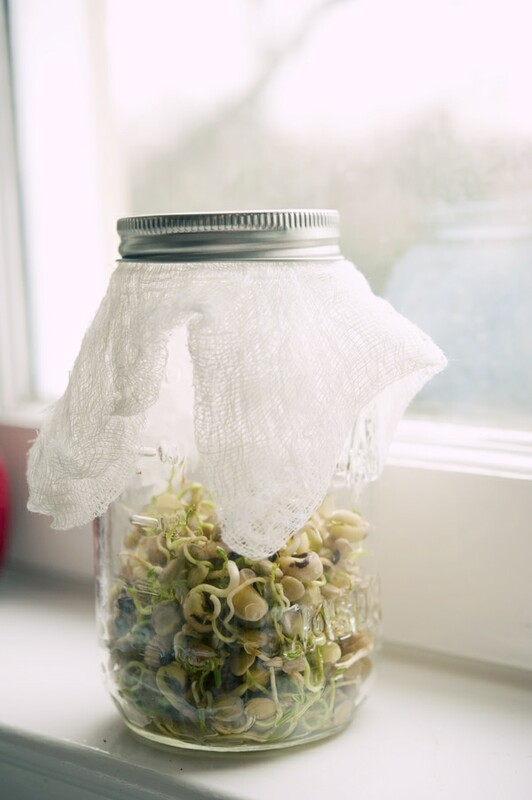 After a few days, place the jar on a windowsill, which will expedite sprouting. Your sprouts will be ready in 3 to 5 days. 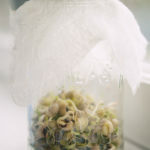 If you have multiple jars sprouting at different stages you will have a constant supply of these energy- and nutrient-rich sprouts.